A giant 50-foot wave overwhelmed the seawall at the Fukushima Power Plant and flooded generators cooling the cores. In rapid succession, three nuclear reactors melted down. That tragic event happened five years ago this month. Thousands lost their lives and the worst nuclear disaster since Chernobyl occurred as a result. The word “meltdown” could be used for some of the behavior I’ve witnessed in C-suite boardrooms. An earthquake, of sorts, occurs, perhaps a sales forecast missed or a financial detail dropped. Troubling, yes, but not tragic. Yet. But then there’s the response to the earthquake, a tsunami of emotion and accusation, which, in turns, results in more reaction and more accusation. Soon everyone is flooded with emotion and the fallout affects the entire organization. For most of us, it feels good to get angry. In the moment, at least (some of us feel guilty afterwards). We feel powerful, strong, and even righteous in expressing our point of view vociferously. 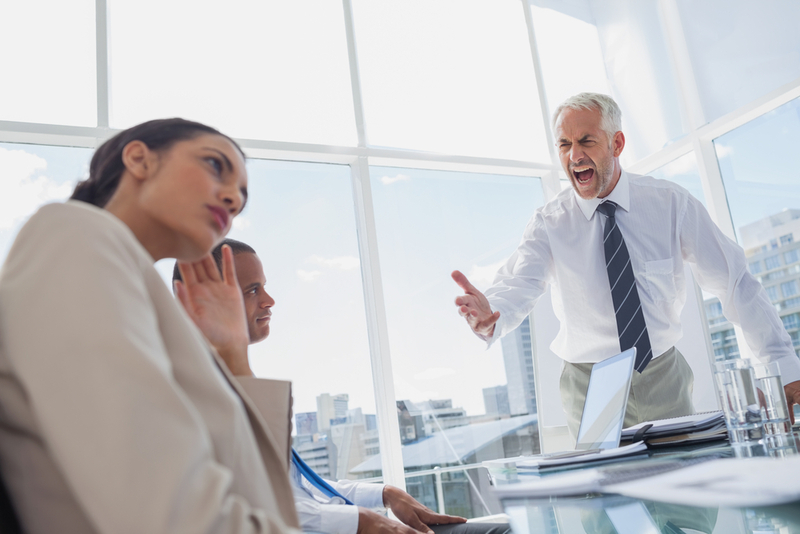 As cathartic as it might feel to vent our anger in a meeting, the results are always destructive. There are a dozen different reasons for this, but here’s the main one: it injects fear into the organization. And fear doesn’t deliver world class performance. Fear forces people to think only of short term results (alleviating the source of fear). It keeps them from taking risks, for fear of failure and punishment, and closes their mind to creative alternatives. Anxiety and creativity do not coexist. Think of it this way. People run really, really fast for two reasons. To get away from a snarling German shepherd and to win a gold medal. With the former, people stop running the minute the German Shepherd is gone. With the latter, they’ll run year after year after year to get better and beat the competition. Which of those two options do you want in your company? Of course, the natural consequence of fear is compliance. That is, the sheer force of fear makes people do what you say. Immediately, without thinking. But is that what you really want? People acting without thinking? Is this the kind of business you want to build, a collection of people who look to you to tell them what to do, fearful of taking independent action? But that’s what the phrase “you get what you ask for but not what you want” means. You want strong, strategic thinkers who bring all their energy and creativity to the table to meet the challenges of the marketplace. Anger short-circuits all that. Again, anxiety and creativity do not coexist. Neither do enforcement and empowerment. Nor personal accusation and open discussion. Anger has a similar effect. The more we give in to anger, the more we get angry. And the more we get angry, the more we become an angry leader, managing people through fear, intimidation, and exploitation. Like most things in life, anger is something that happens. It’s part of the human experience. The goal is not to eliminate it—that really can’t be done—but to control it. To manage it. To keep it from hijacking the airplane of our leadership and crashing it into the ground. Here’s the alternative, then, to the emotional hijacking anger can cause. Anger’s Alternative: Stop. Be Safe. Be Sound. Anger is part of the emergency response system that’s been built into our brain. It’s the fight side of the fight or flight reaction we feel in a threatening situation. It’s a primal emotion and not our best foot forward in most circumstances. The adrenaline that surges through our veins when we’re angry (much like a tsunami) can overwhelm us and cause us to say things and do things we regret later. Really stupid things. When that overwhelming impulse to act flows through you, stop. Do nothing. Get control of your emotions before you say anything, before you do anything. Then be safe. That is, attend to the dynamics of the relationship before addressing the issue at hand. 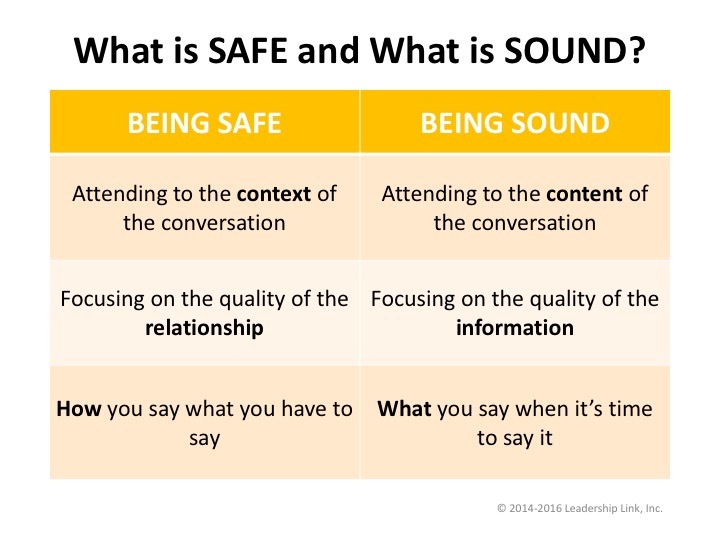 Set a context where your words can be heard. Listen before you speak. Understand before you try being understood. If you’ve contributed to the problem at hand, own it. Say you’re sorry. Then, when it’s time for you to speak: be sound. State your point of view clearly, plainly, factually. And be brief. The tendency we have when operating under the influence of adrenaline is to exaggerate, to press our position too hard and go on and on and on. This is not sound and will cause people to reject in its entirely what we have to say. Here’s some advice I was once given about my tendency to go on and on and on in a tense situation, “Stand up, speak up, and shut up.” Not bad advice. In other words, stop. Be safe. Be sound.